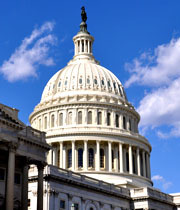 This week in Washington, Congressional leaders and the President continued to negotiate a solution to avert the looming “fiscal cliff” set to take effect January 1, 2013. As you may know, the so-called fiscal cliff is a combination of mandatory federal spending cuts and caps, and increases in tax rates for all Americans. As the conversations regarding this critical issue continue in Washington, I will stand up for a plan that assists our nation’s small businesses to grow and create more jobs. On Wednesday, I was pleased to meet with the Texas Association of Business President, Bill Hammond, to discuss the various proposals that are being debated regarding the fiscal cliff and their impact on the business community in Texas. During our meeting, we agreed that any package passed by Congress must prioritize job creation and economic growth. We both understand that our nation’s small businesses, which drive job creation, will be negatively affected by an increase in tax rates. House Republicans have brought forth a responsible, balanced plan to avoid the fiscal cliff and to prevent the projected 710,000 jobs from being lost as a result of President Obama’s proposal. In a sharp contrast to our approach, Democrats in Congress continue to advocate for job-restraining tax increases that will not solve our nation’s debt crisis. I strongly believe that job creation should be a bipartisan issue, and I will continue to urge my colleagues to join me in supporting policies that will get our economy back on track.